Diagnosis of the digestive tract can be accomplished by several methods. One of the most informative is fibrogastroduodenoscopy, abbreviated as the acronym sounds like FGSD. With this study the doctor can assess the condition of the mucous membrane of the stomach and duodenum visually. To ensure that the survey was as informative as possible it is necessary to prepare carefully. The word «fibrogastroduodenoscopy» is made up of several parts. The prefix «fibro» stands for the study of the gastrointestinal tract, which is carried out using optics fibrovolokno type. «Gastro» is an examination of the stomach, and «duodeno» – inspection of the duodenum. 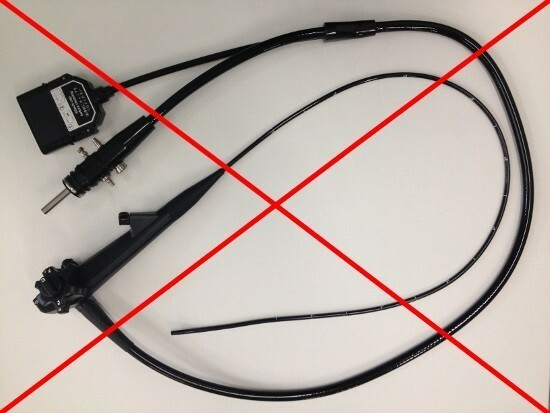 The word «scopy» means a visual inspection. This study is very important, since diseases of the gastrointestinal tract have similar symptoms, and only on the grounds of difficult to put the correct diagnosis. Ultrasound is also ineffective in the case of diagnosis of diseases of the stomach. With EGD, the doctor may evaluate the color of the mucosa, vascular pattern, and structure. Pain in the abdomen. Especially if it manifests itself with varying intensity and frequency. Alarming situation – if the pain appears, regardless of any factors. Heartburn, which manifests itself for a long time. Bouts of nausea and vomiting. Especially if vomiting is manifested regularly and in the vomit there is blood. Weight loss without any reasons. In addition, if there is a suspicion of gastritis, peptic ulcer disease, or if you have problems with the pancreas, liver or gallbladder, then the EGD is necessary. The suspected cancer in the gastrointestinal tract is a direct indication for carrying out this type of research. EGD of the stomach – the study, which can be used not only to diagnose the presence of polyps but to remove them. This diagnosis needed to control the state after the operation. If there is suspicion of the presence in the stomach of foreign matter with the help of EGD, it is possible to remove them. You can also perform other therapeutic procedures like conducting electrocoagulation of the vessel that is bleeding or with the need of applying drugs topically (erosions and ulcers). Upon activation of gastric or intestinal bleeding with the help of the fiberscope set clips and ligatures. When conducting FGS, the doctor may carry out the analysis, in which the figures are known to acidity in the stomach, the presence of helicobacteria and biopsy. 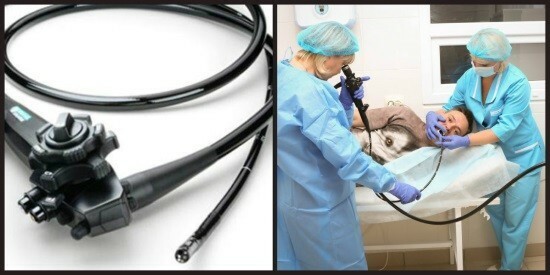 Endoscopist when performing fibrogastroduodenoscopy with special attention considering the mucous membrane of the studied organs, determines the areas of erosion and ulcers, refluxes, different tumors. Normal mucosa of the stomach pale pink color with a smooth surface. No redness or whitish plots should not be. In the cavity of the stomach fluid, which normally contains white foam. At various pathologies in this fluid is blood or bile. If the bile overflows into the stomach, gastric juice will be yellow or green tinge. The mucous membrane of the duodenum normal pale pink color without a pronounced vascular pattern and any redness and ulcerations. Acute heart attack or stroke. The strong curvature of the spine. Pathological changes that leads to the clotting of blood. It may be cirrhosis or hemophilia. With the increase of goiter. In addition to these States, there are more relative contraindications. The doctor individually decides whether to carry out the procedure. Such conditions include angina, hypertension from stage 3, enlarged lymph nodes in neck localization. Also do not spend EGD in acute inflammatory and infectious process in the throat, larynx and with lesions of the tonsils. Mental illness also have relative contraindications. Usually people with such disorders conducted a study under General anesthesia. There are times when you need extra fibrogastroduodenoskopiya, it is possible to carry it out and in the presence of contraindications. For example, this occurs in the presence of a foreign object that needs to be removed urgently. If necessary, the person will immediately provide first aid. What is EGD? This is one of those studies in which the procedure should be prepared, as this determines its informativeness. In order for the doctor will be able to properly assess the condition of the mucosa should be done 3 days before the procedure to adhere to special diets. This person needs to include in your diet only easily digestible foods and it is also important that they were crushed. Excludes fatty, spicy, marinated food. The evening before the procedure, the dinner should be light and not later than 19.00. Sometimes assigned more drugs that speed up the digestive process. If gastroscopy scheduled, the procedure is assigned for the morning. In this case, it is not recommended even to brush your teeth and drink water, and smoke. EGD gastroscopy begins with the fact that the person needs to lie on the couch on his side. Before the introduction of the fiberscope throat is treated with anesthetic. It is necessary to reduce the gag reflex and the discomfort while swallowing the probe. The patient holds a special attachment between the teeth. Further, the endoscopist introduces the phone. At this stage you have to listen carefully and to follow instructions of the doctor. Discomfort will be the time when the probe is in the throat. After the tube was in the esophagus the discomfort anymore. The duration of this procedure can be up to 15 minutes if the aim is only EGD diagnosis. If required therapeutic manipulations, the duration is increased to 20-30 minutes. If the study is carried out with anesthesia, then the time increases by 10-20 minutes. After fibrogastroduodenoscopy the patient may get a sore throat and stomach, occur nausea. This state is the norm. If after the procedure the person had a raised body temperature, the intensity of the abdominal pain increases, and also appeared vomiting and diarrhea is black, it is alarming signs and should immediately consult the doctor.